Ashley Douglass Event's mission is to create beautiful, genuine and personal experiences that inspire our clients and their guests. These experiences will imbue our client’s events with the significance and joy they deserve. We pour our hearts into this job. We have a talent for understanding each of our different clients and then planning an event that is an honest reflection of them. Our success comes out of our focus on giving and, with that, listening to our client’s individual needs. Your event will be smart, be it casual or formal, traditional or more unique. Every choice is about experience - unexpected details wake guests up and put them into the room, as does simplicity when well executed. The service, the flow, the entertainment and lighting, every detail small and large - they all matter. We expect our staff to have autonomy, follow-through and support the mission of the company. A supportive and collaborative environment with open lines of communication, continual learning and forward thinking is paramount. When we put in our best work our events leave clients with very high levels of satisfaction, which is absolutely necessary in a field of work that has ‘one shot’ to get it right. The process begins with a first consultation that usually takes about an hour. After this first consultation, we will create a customized proposal and give you a few days to review. The next time we connect at length is often in person. Once you move forward we will begin on your planning timeline, budget tracker and vendor relationships. Planning will move on from here, in the fashion that best suits your schedule, personality and overall needs. We have planned events for both the Democratic and Republican parties, and both on the West and East Coast. We are familiar with planning events for people in the pubic eye. We are open to non-disclosure agreements, if they fit the event. I love getting to know interesting and genuine people. It is a magical thing when two people decide to commit to being on life’s journey together. A wedding is a celebration of this commitment and if planned well, it will linger forever. The same can be said for all special events! Planning a special event through to completion is incredibly rewarding - it is like no other job! I have been in the event and hospitality industry for over fifteen years. I have worked for restaurateurs such as WolfGang Puck, Marcus Samuelson and Steve Hanson to name a few. I have been on the consulting opening team of ten successful restaurants and three hotels. I have also previously shadowed some of the best designers prior to opening. I understand the inner workings of each type of vendor and have a knack for making each event as cohesive as possible. I LOVE STORIES, books and all art. I have a professional theatre background, having performed on many of the well-known NYC stages and regionally. The theater was my church as a child and I know this work taps into that passion and experience too. I am also very athletic and prefer being outdoors and, if time allows, doing yoga every day. I am happiest in the sun, at the beach or on a mountain, with a perfect kale salad, rare streak and crispy salty shoestring fries. My favorite moment of a wedding is right before you both walk down the aisle. If given an unlimited budget I would milk the ceremony or cocktail hour, making it as fabulous as possible with a full symphony, lighting spectacular and a few great performances chock-full of meaningful content to truly reflect the importance and sweetness of the moment. A native to Southport Connecticut, Page has been with the ADE team for two years now. With her Leadership Studies degree from The University of Richmond and background in visual arts, Page is excited to delve deeper into the world of event planning. Page spent her 2018 summer at The New York Times where she interned on the Events and Sponsorship team and spent her 2017 summer as an intern with ADE. Page loves the excitement and energy involved in planning events and always loves watching the planning stages of events unfold. Page is an avid equestrian and has grown up horseback riding her entire life. Her favorite days are those spent in the sun with her family and her two dogs. On top of that, Page loves to travel and spent a semester of college at The University of Edinburgh in Scotland. One of her goals in life is to visit all fifty states in the U.S., only 33 more to go! During her time with ADE, Page has been exposed to some of the most beautiful venues, talented vendors, and amazing clients. With her passion for creativity and diligent management of all the little details, Page brings a confident and practical approach to the team. Julia is going onto her third season with ADE. From day one, Julia has been a large asset to the ADE team and our clients. She is compassionate, calm and logical under pressure. She brings a unique perspective because she is also a professional photographer which greatly informs our clients event days in immeasurable ways. "The amount of varied work that passes by an event planner's desk in a day is startling and Ashley catches the balls like no one else. As Ashley says, we line up all the dominoes perfectly so when your important day(s) takes place, it's like a well oiled dream that unfolds according to plan. I'm super proud to be part of something that is important in other people's lives." A graduate from Fairfield University with a double major in marketing and management, Paige fell in love with the town of Fairfield during college and decided to stay post graduation. She is currently living in Fairfield, Connecticut with her son, Ethan, baby girl, Kayla and husband, Todd. A planner and organized person by nature, Paige loves to get involved in every detail of events and enjoys seeing them come to life after months of preparation! She has planned well over a hundred small to very large events to launch new products, both domestically and internationally. She is accustom to walking into new environments, with new people and making an event happen perfectly despite any unforeseen challenges. Paige loves the adrenaline rush and competitive side of things, and enjoys kickboxing and bootcamps when getting the chance to work out. Running with her Black Lab, hitting the beach and playing with her son are Paige's favorite ways to relax! Sara has been with ADE for seven years, using her calm-under-pressure personality to help clients, brides and grooms have a fantastic day without worry. She is industrious, remembers every detail large and small, and thinks of ways to fix problems before they arise. Sara resides in Greenwich, Connecticut with her son Lucas and her hubby James. She holds a Bachelor of Arts with a concentration in Human Development and Family Studies from the University of Connecticut and a Master's in Special Education from Fairfield University. Sara is a Special Education teacher in the Greenwich Public Schools. How noble, hard working and impressive is she? Community service has always been something close to her heart. Today, she does a lot of volunteering by participating in marathons and events to raise money for various research and organizations such as Leukemia and Lymphoma Society, CancerCare, Stamford Hospital and the American Red Cross. As a side note, she is also a master baker and has even taken a few courses at the Culinary Institute of America (CIA). 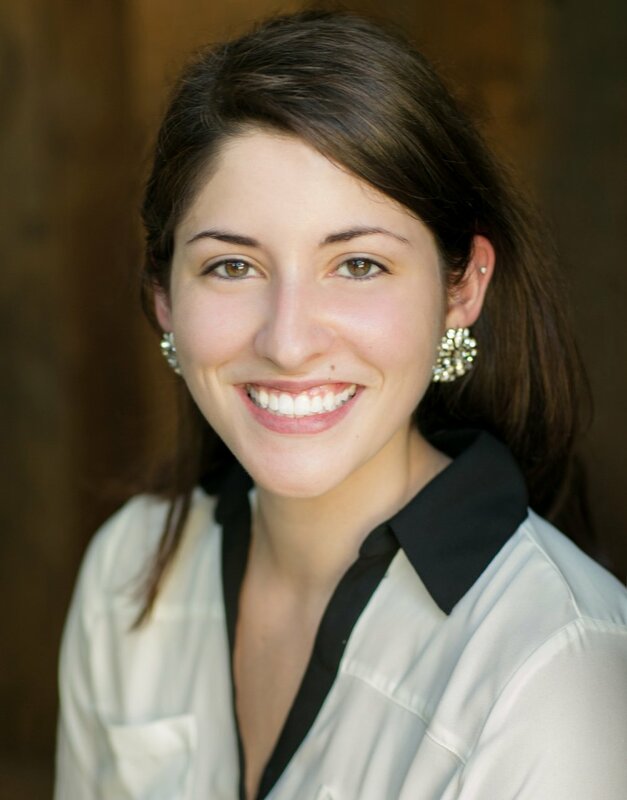 Rachel is a recent graduate from Fairfield University with a degree in both Communications and English literature. She was a member of Fairfield University Student Association and the Relay For Life committee all four years of college, as well as working as a Building Manager at Fairfield’s campus center. When Rachel is not too busy, she can be found at the beach with friends or trying out a new recipe in the kitchen. Rachel was an intern with ADE the Summer before her Senior year in college and is so happy to be seeing events come to life many weekends over the warmer months. She has planned events on Fairfield’s campus since her freshmen year and loves continuing to learn everything about the industry. Rachel's career goal is to eventually own her own event planning company and create beautiful weddings and events, and strong relationships with clients, just like Ashley Douglass Events. Born and raised just outside of Boston, MA, Christina is a Senior at Fairfield University with a major in Marketing and a minor in Graphic Design. In her free time, Christina loves spending time with her family and friends and being outside in the sun. She is outgoing and loves working with others. During the fall semester of her Junior year, Christina studied abroad in Florence, Italy. Her favorite place she was able to travel to was Interlaken Switzerland, where she went skydiving in the Swiss Alps. Over the past few years, Christina has had many marketing internships in different industries from the fashion industry to the pharmaceutical industry. At Fairfield University, she is a member of the *Love Your Melon, College Against Cancer, and the Marketing Club. She also works in the Admissions Office on campus as a tour guide, giving tours to prospective students and their families. Christina has taken a strong interest in event planning over the years. She hopes to learn what it takes to put on a beautiful event, like a wedding. She is very excited to be a part of the ADE team and see the process of a major event unfold from start to finish! *Fun Fact: Julia D'Agostino has photographed for Love Your Melon!. I am a rising senior at Indiana University studying Tourism, Hospitality and Event Management as well as obtaining a minor in Business. I grew up in Fairfield, CT in a creative household with my mom being an artist and photographer. Drawing and painting have become passions of mine. I love being able to tap into my creative side. I spend most of my free time hanging out with friends, enjoying the beach or boat rides. I love traveling and seeing new places and trying new foods! I have always been interested in all kinds of events. In college, I was the philanthropy chair for my sorority, planning and executing all of the events, such as Angels in the Outfield, to raise money for Cystic Fibrosis. I have had the opportunity to work for a few different event companies, corporate, philanthropic and weddings, which has allowed me to see aspects of different kinds of events. I am so looking forward to working with the ADE team this summer. I already worked with them this past winter on previous weddings and saw how committed and driven the team was at executing the perfect event. I know that I am learning from such a talented group of people. I am now in my junior year studying communication at Fairfield University in CT. I was born and raised in a small beach town on the South Shore in MA. I spend my free time socializing with friends whether that be eating out at a yummy restaurant or spending the day on the ocean. The sun, all animals, and babies make me happiest. Cooking is one of my favorite things to do and I have recently been assigned as the official mashed potato maker for all of my family holiday gatherings. I have a passion for working with people and building new relationships. In high school I was always helping to plan and execute school events such as the winter dance, or pep rallies and I was on the yearbook committee. I enjoy working and collaborating with others, whether it be co-workers or friends. I have spent some of my time at Fairfield University helping in the admissions office as a greeter for prospective students and their families. I also volunteered at Boston Children’s Hospital during summers throughout high school and I volunteered this past semester at both the VA Hospital and Bridgeport Hospital. I am excited to see the inner workings of event planning and exactly how to execute a detailed and beautifully unique event. Devon is a senior at Sacred Heart University with plans to graduate next spring of 2018 with a major in marketing and a minor in digital advertising. She is the captain of Sacred Heart's division 1 NCEA and IHSA equestrian team. She grew up competing in hunter/jumper division but has recently discovered a love for riding western through the team. When she is not riding or working on her studies, she enjoys creating and perfecting recipes like her sour cream blueberry streusel muffins or tiramisu cupcakes. We've tasted her pies and can vouch for her talents as a baker! In past internships, Devon worked for a 3D printing and design company based in NYC. In addition to helping them with design, she also helped increase their search engine optimization (SEO). This past summer she was a marketing intern at First County Bank, working on projects to help increase engagement and social media awareness. She has also been the Vice President of Finance for Alpha Kappa Psi which is a co-ed business fraternity on campus. At ADE she hopes to learn about what it takes to plan a major event, like a wedding. She is excited to be part of taking another person's dream and making it come true! Seeing an event from start, to planning, to finish is what she is most excited about! "Ashley, this note is a bit belated but I did want you to know what a wonderful job you did with my daughter in law and son’s wedding event. Everything was perfect, gorgeous and memorable! I also want to express extra thanks for your involvement in all of our added surprises that evening!" "Your ideas were perfect for the party! Your people [vendors] were right on the money. The partners were so happy. Everything really was perfect." "I really enjoyed working with you and am so grateful for how well you executed the vision. Everyone was blown away by the design and quality of everything. The flowers and the staging of all the details were simply amazing. You pulled it off so quickly, that was the real “street magic”. Thank you for all your talent and attention to detail, I noticed and appreciated every effort." "I just wanted to say thank you for everything that you did to make last night and the weekend what it was for us, which was amazing. Your patience and understanding from the beginning was truly impressive and appreciated. Thanks a ton for everything again! Many, many, thanks!" "I want to thank you for the marvelous work that you did. Because of you, I was able to fully enjoy every moment of Laura’s big day.Many of my guests called me and commented at how beautiful everything was and how smooth everything went, and how relaxed I was! You'll be highly recommended. Thanks again for your professionalism and dedication."